Now we're cooking! We bump up the GPU to the high-end of mid-tier GPUs and jump to the second generation Ryzen CPUs with the Ryzen 2600. You can generally crush 1080p gaming and can start making headway into 1440p. You'll be more functional in multithread-heavy usage such as video rendering with the included 6C/12T processor; I wouldn't necessarily recommend this build if you're doing daily, heavy rendering, but if you render from time-to-time, you'll be very happy with the performance for the price. This build leaves open a lot of upgrade options, because the AM4 chipset will be in use for at one more Ryzen generation. You could easily swap out the included CPU for whatever Ryzen CPUs release in 2019, if you want to upgrade at that point. And, of course, the GPU would also be available to upgrade regardless. Here is a video with benchmarks for the Ryzen 2600 with a GTX 1070 8 GB. CPU: The Ryzen 2600 is a hexa-core, twelve-thread CPU. It can be overclocked and comes with its own cooler which can handle moderate overclocks. However, if you really want to push your Ryzen 2600's overclock to its limit, you'll need an aftermarket CPU cooler which will run you $40-$70 more. Motherboard: We've kept the same motherboard as our previous build tier. Any medium priced AM4 B350 motherboard will do for this build, but check reviews to see how well the board handles overclocking; MSI, ASUS, ASRock, and Gigabyte are all reputable brands. Keep in mind, the X470 boards offer a few extra features above the B350 boards, such as support for higher memory clock speeds, but for this price range, a B350 board is probably a better fit. RAM: This build maintains the very solid 16 GB of RAM, which should be plenty for gaming for at least a couple of years. The speed/frequency of the RAM is moderately important for a build using any Ryzen CPU, so try to aim for higher speeds with 2666 MT/s at a minimum and 3200 MT/s being the maximum. Don't break the bank jumping from 2666 MT/s to 3000 MT/s or 3200 MT/s however, as it's just not that important and you'll likely only see 2-3% framerate increases from each jump up... which is around 1 to 3 FPS average when you're around 60 FPS. Storage: We double our HDD space to 2 TB which, barring special cases, will be enough storage for the vast majority of uses. This build maintains the SSD at 240 GB, but you could upgrade this to a 500 GB SSD as a reasonable upgrade for this build. Video card: The 1070 8 GB is the lowest priced card that I would feel comfortable running at 1440p. It won't get you 1440p/144Hz, but it can handle 1440p/60Hz fairly well, depending on your settings. The next upgrade would be a GTX 1080, which is "only" around $100 more - if you have the $100 to spare and want to improve this build, that's where you want to spend your money. Case: This is a highly personal choice. We have added a parametric filter for a medium-cost case from reputable companies, but you will want to look around and decide what is best for you. Our price range here is $50-$70. You may want to add in an extra 120mm or 140mm case fan, such as the be quiet! SilentWings-series, to help with case airflow if you plan to overclock your CPU aggressively, although we've opted to include one extra fan already. 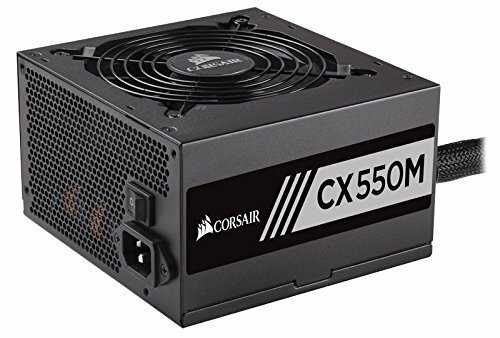 PSU: We're choosing from a parametric-filtered list here, but each of these PSUs will come from a reputable brand, be at least semi-modular (if not fully), and be at least 80+ Bronze rated with a 500 watt minimum for maximum load. Manufacturer: Corsair, EVGA, SeaSonic, be quiet! ASRock - B450 Pro4 ATX AM4 Motherboard and Rosewill - RS-MI-01 BK Mini ITX Tower Case w/250 W Power Supply are not compatible. 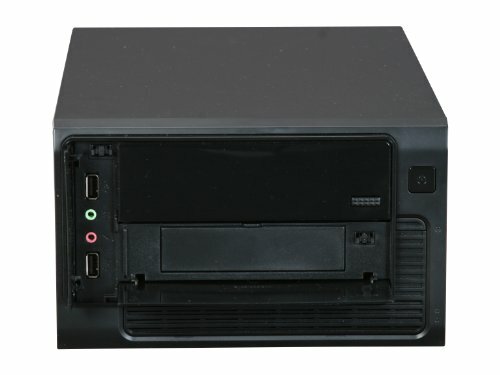 Rosewill - RS-MI-01 BK Mini ITX Tower Case w/250 W Power Supply and Corsair - CXM 550 W 80+ Bronze Certified Semi-Modular ATX Power Supply are not compatible. Rosewill - RS-MI-01 BK Mini ITX Tower Case w/250 W Power Supply and MSI - GeForce GTX 1070 8 GB Video Card are not compatible. The AMD - Ryzen 5 2600 3.4 GHz 6-Core Processor included cooler height of 54mm exceeds the Rosewill - RS-MI-01 BK Mini ITX Tower Case w/250 W Power Supply maximum of 45mm. ASRock - B450 Pro4 ATX AM4 Motherboard has an onboard USB 3.0 header, but the Rosewill - RS-MI-01 BK Mini ITX Tower Case w/250 W Power Supply does not have front panel USB 3.0 ports.